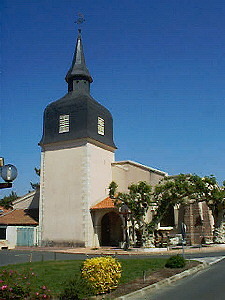 Built in the first half of the seventeenth century, in 1632, the church of Saint Clement was then the parish church of the new capital of Port d'Albret, the barony of Marensin. It is decorated with a beautiful wooden crucifix carved from the former Franciscan monastery. The church hosts concerts during the summer.